16 different games and activities for kids of varying ages. 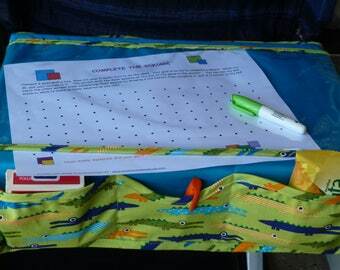 They can be used with both the TRAYblecloth and the Kids TravelDoodle. Etsy requires that we charge $.20 minimum for any product, but you can also go to our website and download free. Or visit this Dropbox link to download them. You'll have to copy and paste, as Etsy doesn't allow links. 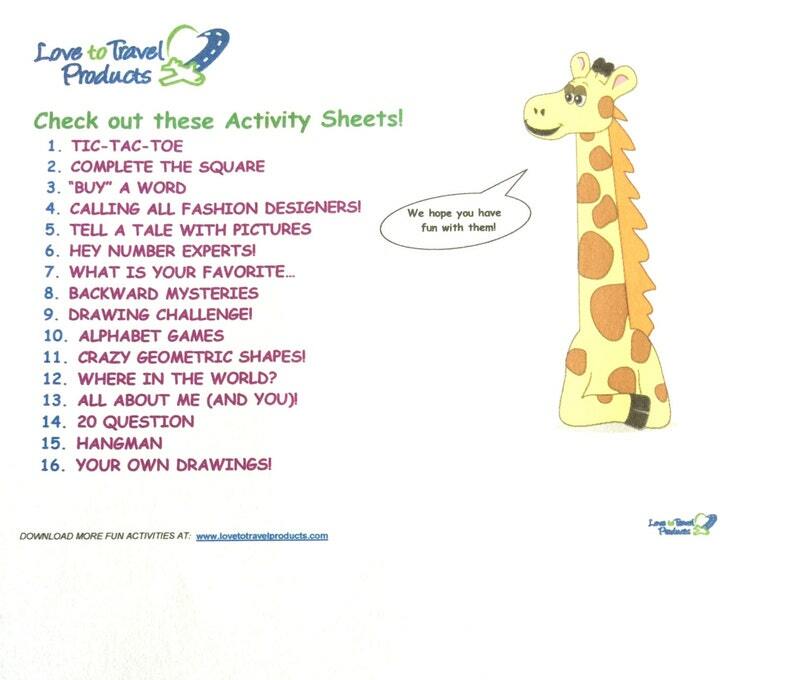 These beautiful and colorful activity sheets were designed by my niece, Jenny. We will continue to add more as time goes on. Enjoy!